David Bazan, front­man of the now-dis­solved indie group Pedro the Lion, is now work­ing as a solo artist fol­low­ing both that group and his sec­ond, short-lived group Head­phones. His first full-length album as a solo artist, Curse Your Branch­es, is a gen­er­al­ly suc­cess­ful com­bi­na­tion of Bazan’s expe­ri­ence with each of his ear­li­er groups as well as his own cre­ativ­i­ty. On Curse Your Branch­es, Bazan has expert­ly mixed elec­tron­ic and acoustic instru­ments, start­ing on the first track, “Hard to Be,” which imme­di­ate­ly pairs up near­ly form­less synth with well defined piano chords. And not only are instru­ments mixed with each oth­er well, but instru­ments are also giv­en their place to show them­selves clear­ly, includ­ing the per­cus­sive intro which tran­si­tions clev­er­ly into the first main sec­tion of “When We Fell.” The bass also gets an espe­cial­ly large space in which to show itself: the entire­ty of “Heavy Breath,” in which the bass acts, often alone, to keep the entire track engag­ing. 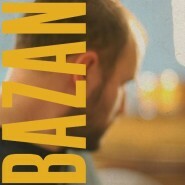 David Bazan’s voice works beau­ti­ful­ly with the sub­tle instru­men­tals on Curse Your Branch­es, cre­at­ing a rolling sound, the basis for the sto­ry­telling aes­thet­ic of the album which Bazan has so obvi­ous­ly mas­tered. An impres­sive grasp of pitch and a vari­ety of vocal styles adds to this effect, giv­ing fur­ther detail to both Bazan’s voice and the album as a whole. Thanks to this, his voice nev­er falls into repet­i­tive pat­terns and is instead imbued with a vari­abil­i­ty which allows it to flow both above and among the music to cre­ate the immer­sive expe­ri­ence of Curse Your Branch­es. But while Bazan does cre­ate indi­vid­ual, extreme­ly strong ele­ments such as vocals, instru­men­tals, and lyrics, he most excels at com­bin­ing ele­ments per­fect­ly. “Bless This Mess” is a per­fect exam­ple; it uses what actu­al­ly amounts to rather dense lay­er­ing, and yet it still man­ages to sound light enough to remain eas­i­ly acces­si­ble. “Bear­ing Wit­ness“ ‘s beau­ti­ful­ly coun­ter­pun­tal and har­mo­niz­ing gui­tar and bass lines also clear­ly exem­pli­fy Bazan’s skill. Curse Your Branch­es has very few weak sec­tions. A small col­lec­tion of tracks are slight­ly over-repet­i­tive or lengthy, but every oth­er track ranges from “quite good” to “excel­lent,” and most fall clos­er to the lat­ter. Through­out Curse Your Branch­es, Bazan com­bines com­plex lay­er­ing with pleas­ant sim­plic­i­ty, tra­di­tion­al reli­gion with per­son­al belief, and expert instru­men­tal lines with mas­ter­ful vocals. Curse Your Branch­es is a beau­ti­ful­ly played, con­struct­ed, and record­ed album.